Healthy dishes - at some point, not all healthy dishes are vegetarian dishes. 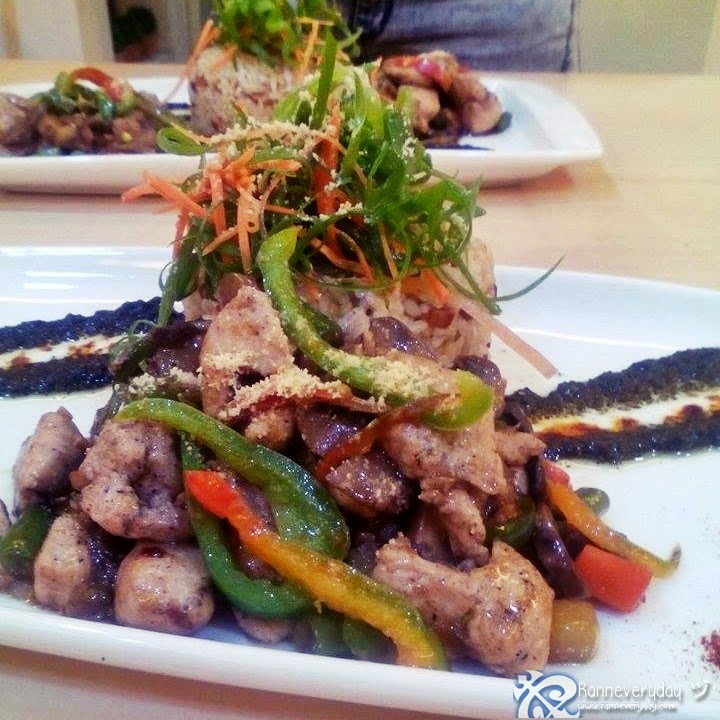 At Healthy Day Cafe and Restaurant, guilt-free meat and vegetable dishes are served. Healthy dishes doesn't mean pure vegetarian dishes. At Healthy Day, they served dishes with less fat and low calories without sacrificing the delicious taste of every dish. 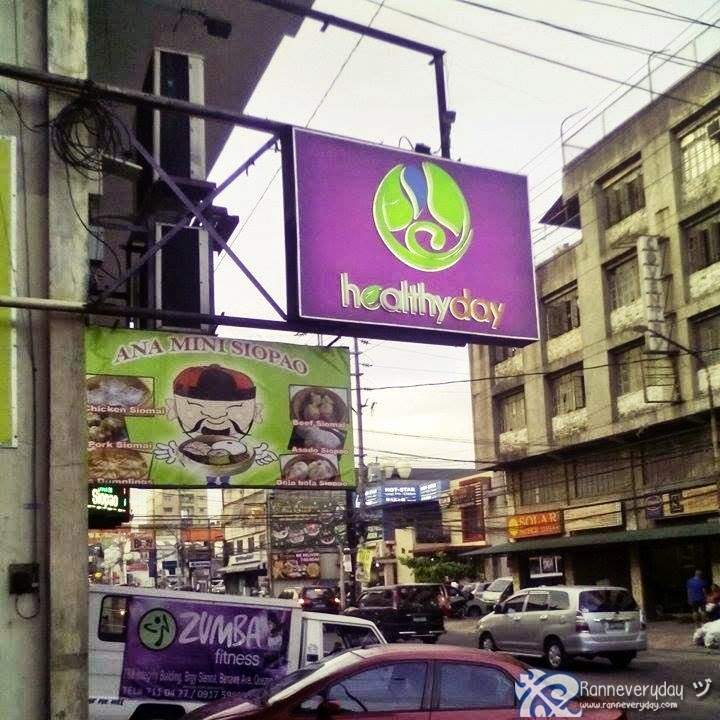 Healthy Day Cafe and Restaurant is located along Banawe Street at Quezon City. 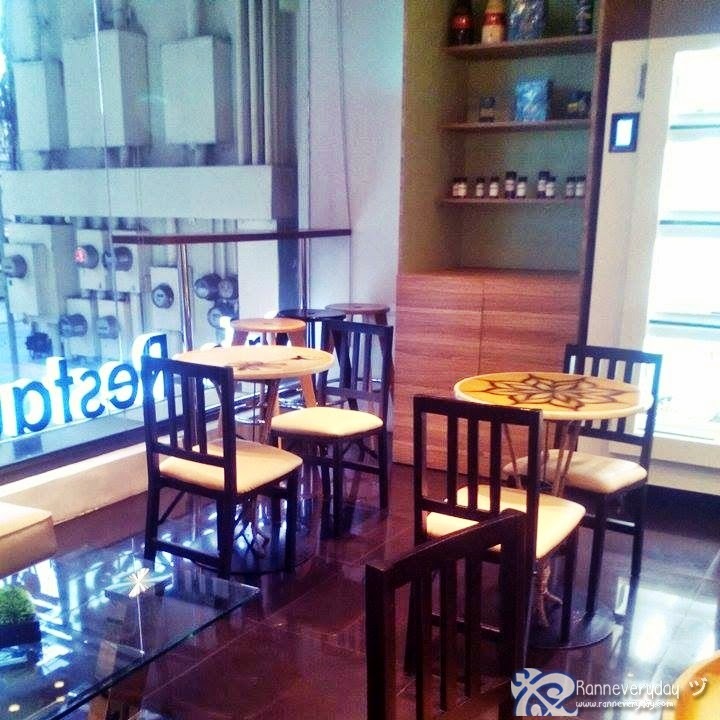 A classy and peaceful ambiance will welcome you as you enter the cafe. 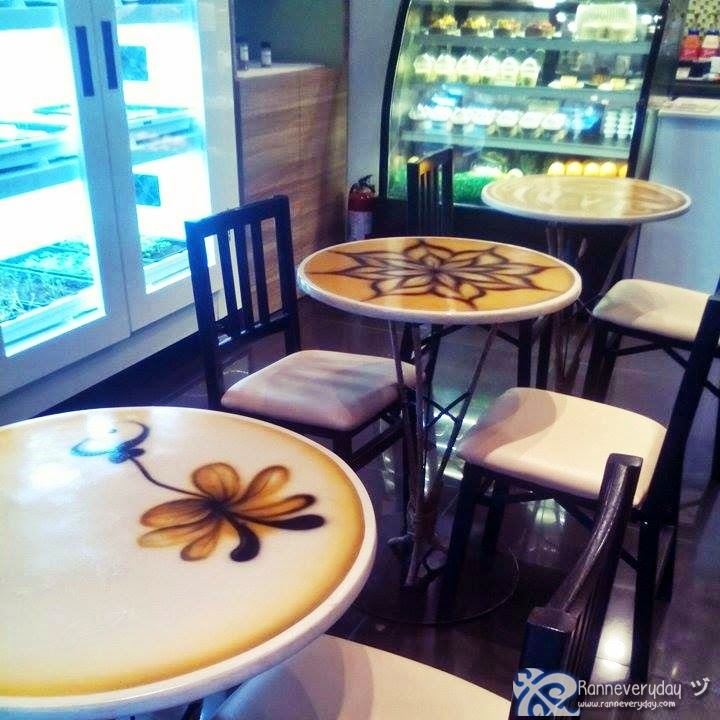 You can also enjoy the very creative tables inspired by cafe latte art. 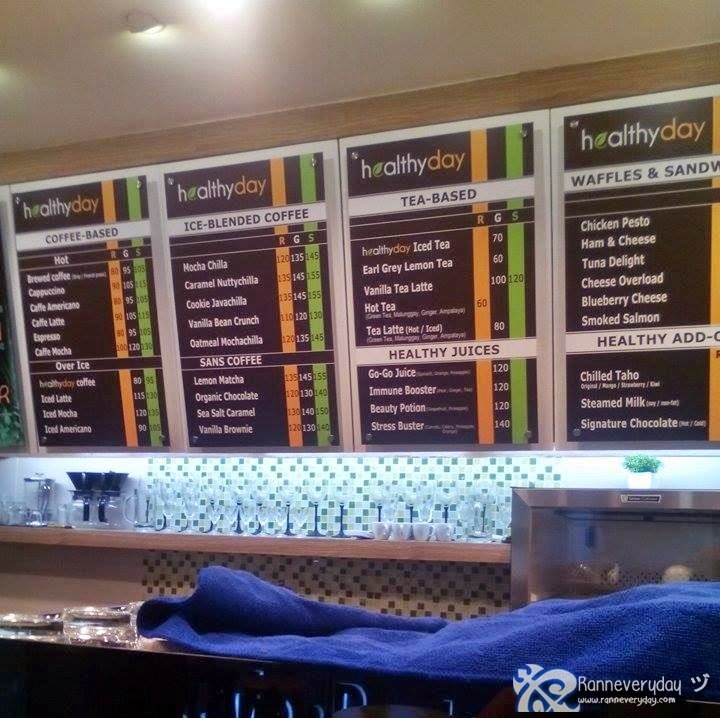 Aside from being a restaurant, Healthy Day is also a spa. 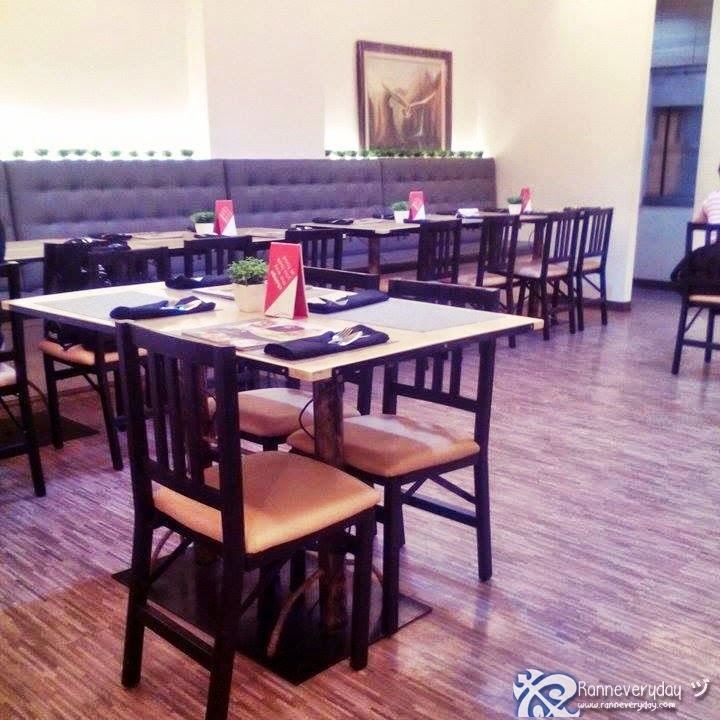 You can enjoy pampering yourself with some manicure and pedicure sessions and whenever you feel hungry, all you have to do is to place an order to their cafe and have a good time while eating and pampering. Kani Roll (Php 160.00) - Even it's an appetizer, it is my most favorite dish here at Healthy Day. 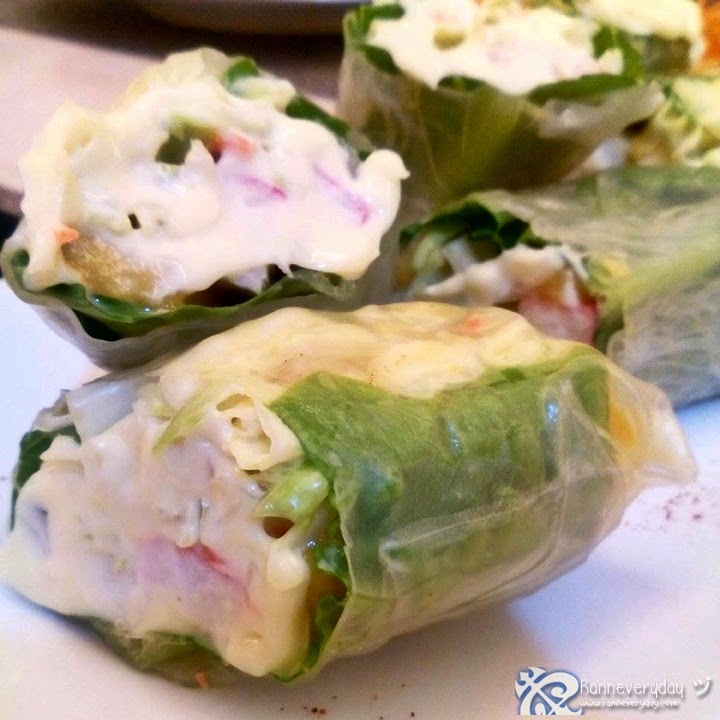 They made the usual Kani Salad into a roll. The dressing is very delicious and refreshing. Everything is well-combined and the vegetables are crispy. It is also one of their best-selling dishes here. It's a must-try! 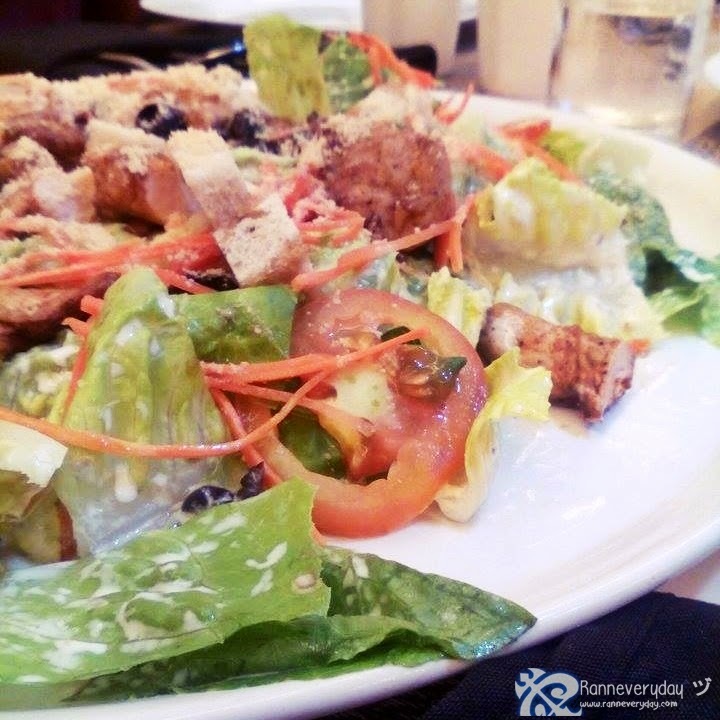 Healthy Day Salad (Php 240.00) - Crispy veggies and tofu cuts with tartar sauce as a dressing. It's a bit sour for my taste. 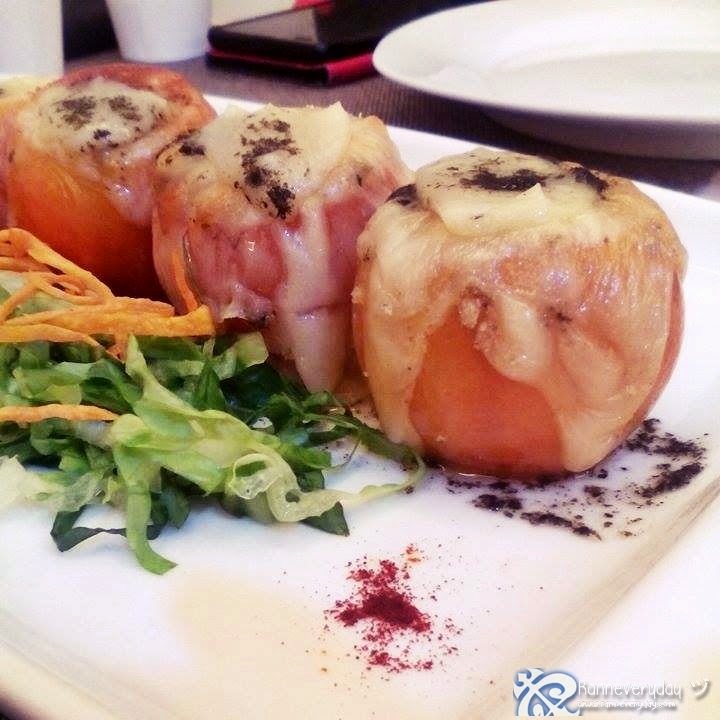 Mozzarella Tomato Salad (Php 310.00) - Big tomatoes stuffed with dried pesto and breadcrumbs and topped with Mozzarella cheese. The tomato and cheese combination is perfect. The taste of the pesto is also distinguishable but the taste is not that strong. Spinach Pumpkin Carbonara with Salmon (Php 220.00) - It might be like the usual carbonara dish, but the difference is the sauce. It is made of pumpkin sauce and with spinach and salmon mixed together. It is surprisingly delicious and for some reasons, it makes me crave for more of this. 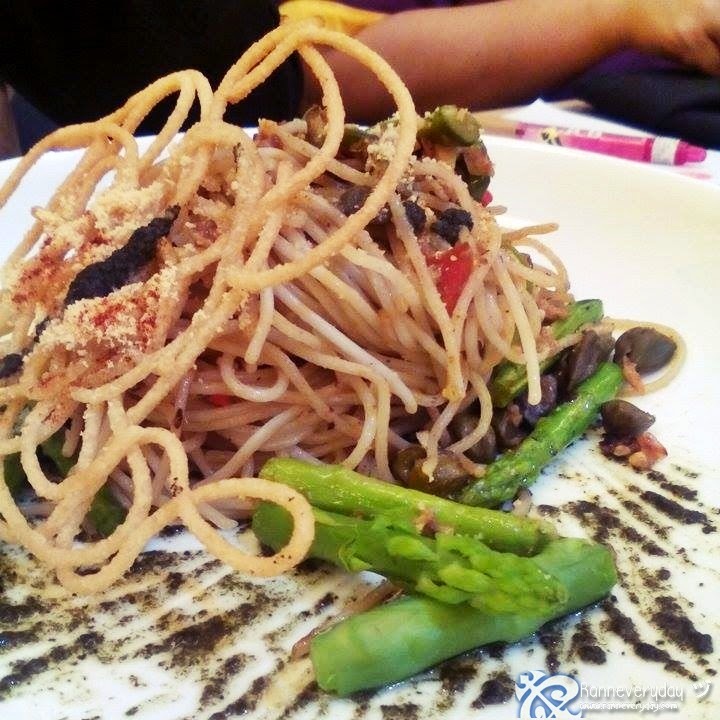 Roasted Asparagus and Bell Pepper Aglio e Olio (Php 190.00) - Of course since its an Aglio e Olio dish, I can taste the combination of oil and garlic sauce first. This dish is not that oily as it sounds. You can also enjoy the roasted fresh asparagus. 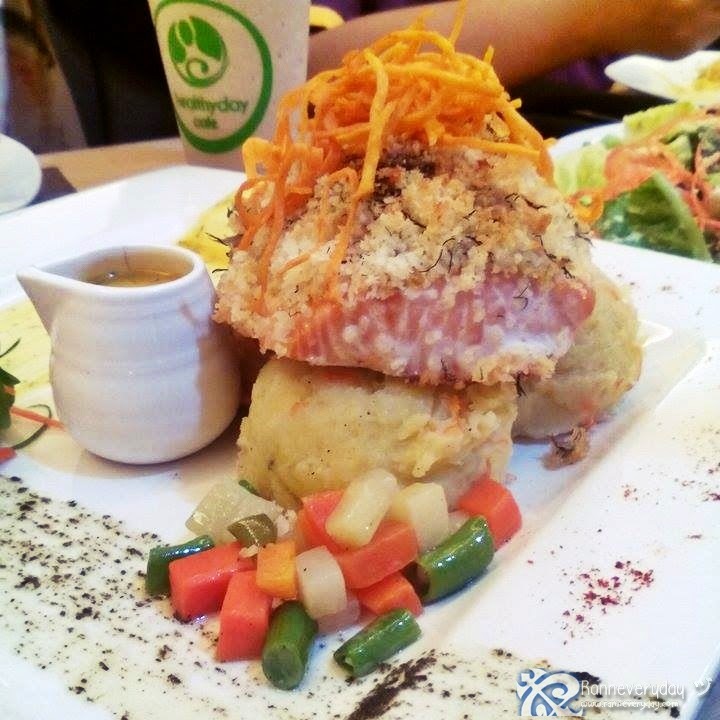 Dill Crusted Salmon with Carrot Potato Mash (Php 560.00) - Enjoy this combination of crispy salmon, potato mash and honey dill sauce. The salmon is quite dry (since it is exposed already as we took pictures first before we eat this dish) so it is better to eat this dish after it is served. The combination of carrot to the potato mash is good. One thing I learned from one of their staff is the difference between the Potato Mash and Mashed Potato. Potato Mash is the use of real potatoes unlike the mashed potatoes which is most of the time prepared with artificial flavorings. 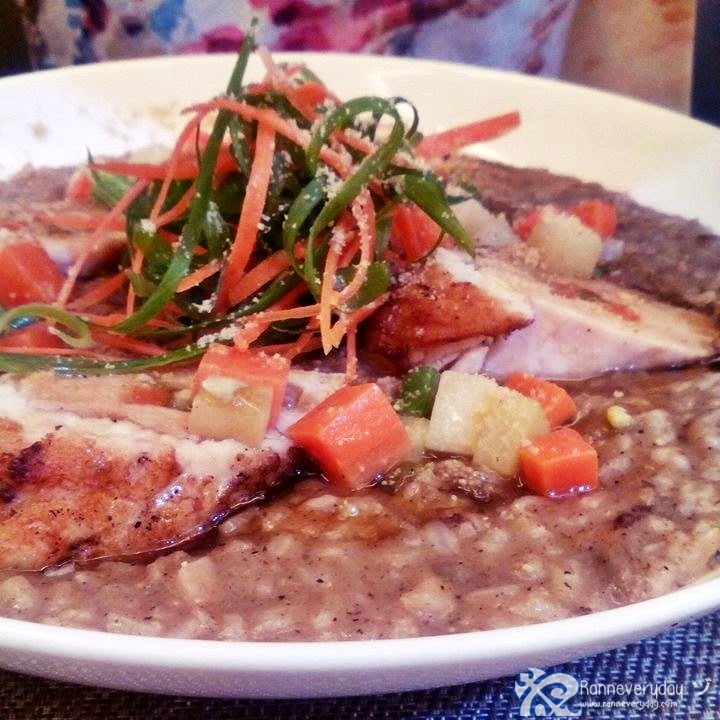 Chicken Rouland with Wild Mushroom Risotto (Php 380.00) - The roasted flavor of the chicken is really good but I also find the meat quite dry. I also find the sticky brown rice quite sour or sometimes taste like a burned rice at first, but then its garlic flavor ooze out as I eat it continuously. Chicken Salpicao with Garlic Brown Rice (Php 360.00) - Served with a cup of garlic brown rice, enjoy the diced chicken meat with Shitake mushrooms and other veggies. The chicken is very tender. 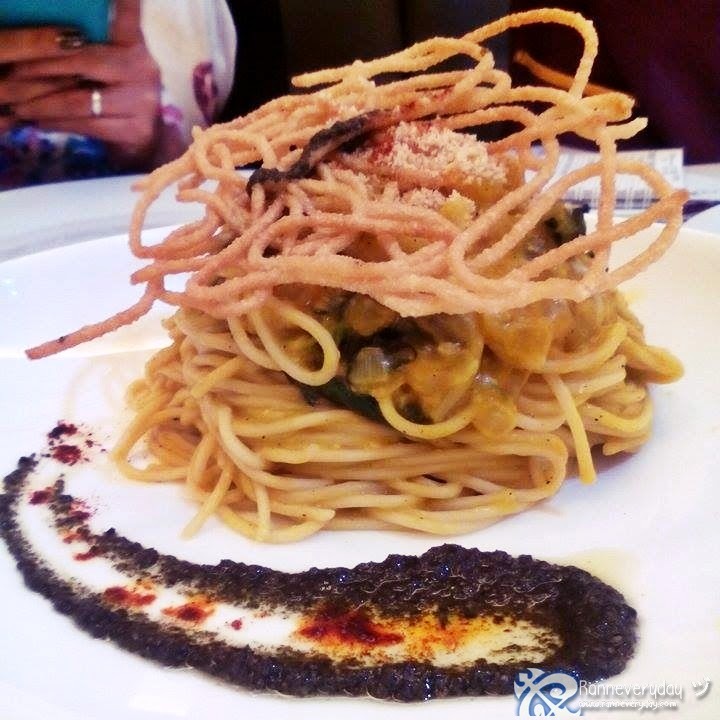 It is one of their best-selling dish. 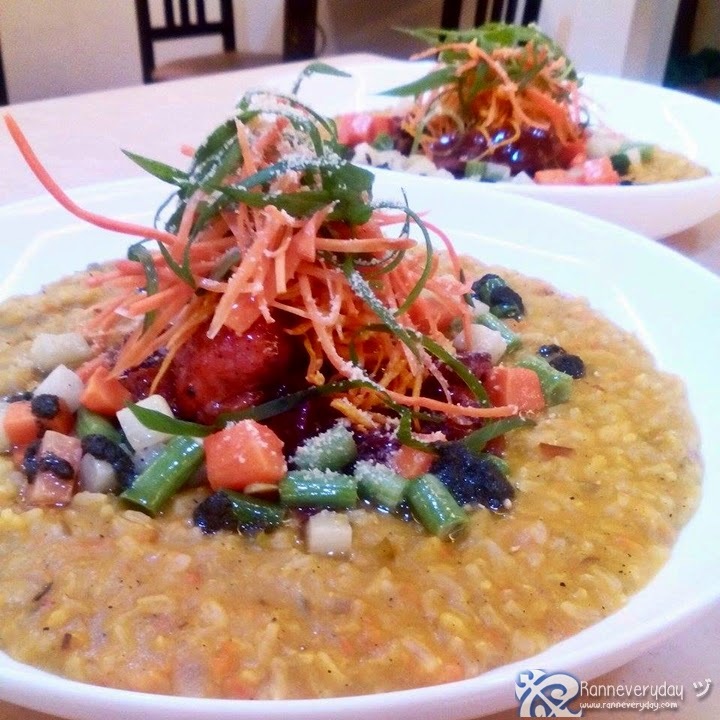 Pork Risotto (Php 410.00) - Enjoy the barbeque-flavored pork with sticky brown rice mixed with some pumpkins. I find the pork to hard to slice. The rice and pumpkin combination is good. Not too plain and salty. 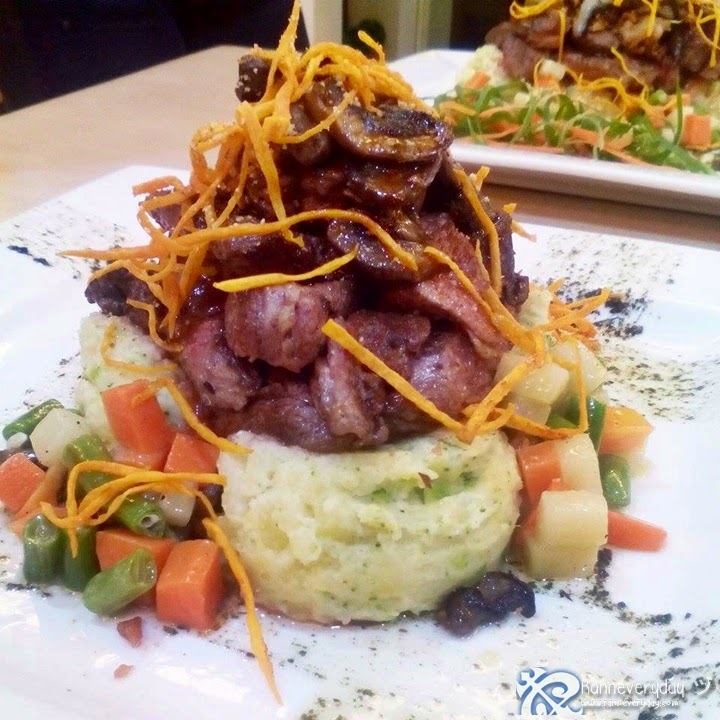 Filet Minon with Garlic Potato Mash (Php 680.00) - Medium-rare beef topped with some mushrooms and with garlic potato mash beneath. I really like the combination of the beef plus the garlic potato mash. If you are a fan of medium-rare beef dish, this Filet Minon is a must-try. 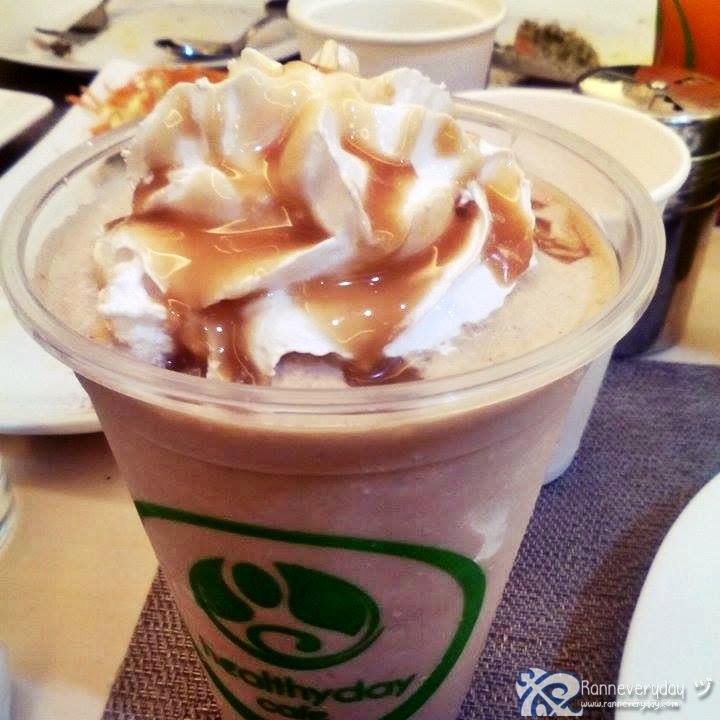 Caramel NuttyChilla (Php 135.00 - Regular Size) - The nutty flavor of this drink is really delicious. It is sweet because of the caramel added and I actually enjoyed this drink so much. 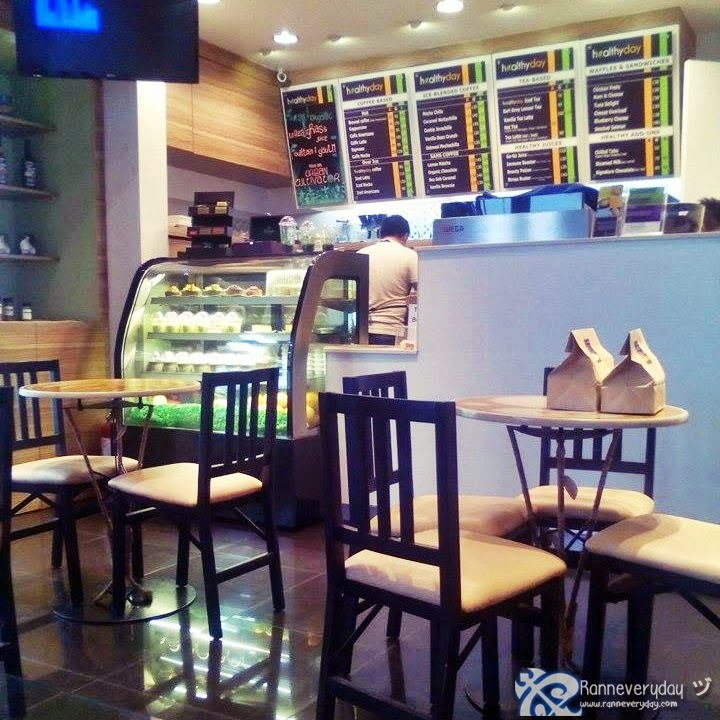 Oatmeal MochaChilla (Php 120.00 - Regular Size) - Looking for a not-to-sweet refreshing cold drink? Try this Oatmeal MochaChilla. You can taste tiny bits of oatmeal in this drink. 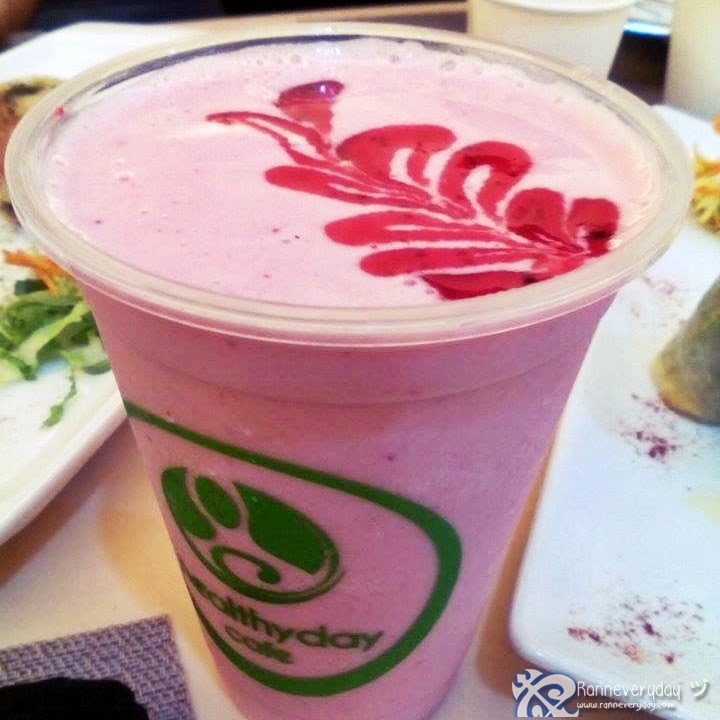 Berry Delight (Php 150.00) - A combination of strawberry puree, blueberries and yogurt in one refreshing drink. This drink is really sweet and the taste is more on its yogurt side. 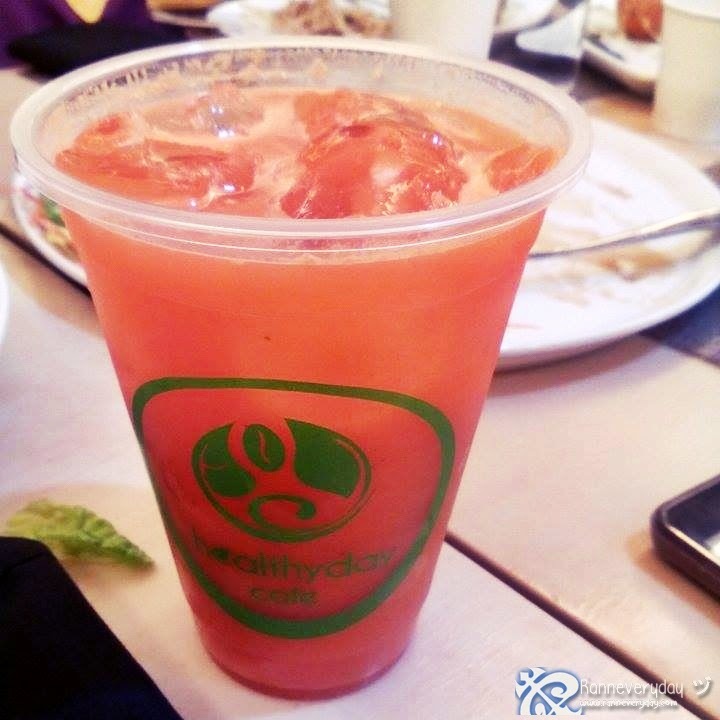 Go-go Juice (Php 120.00) - Healthy Day will not be complete without the healthy drinks. This Go-go Juice is an appetite-booster drink. A combination of spinach, celery, pineapple and orange in one drink. Surprisingly, it is really delicious you can't even distinguish it has some veggies in it. 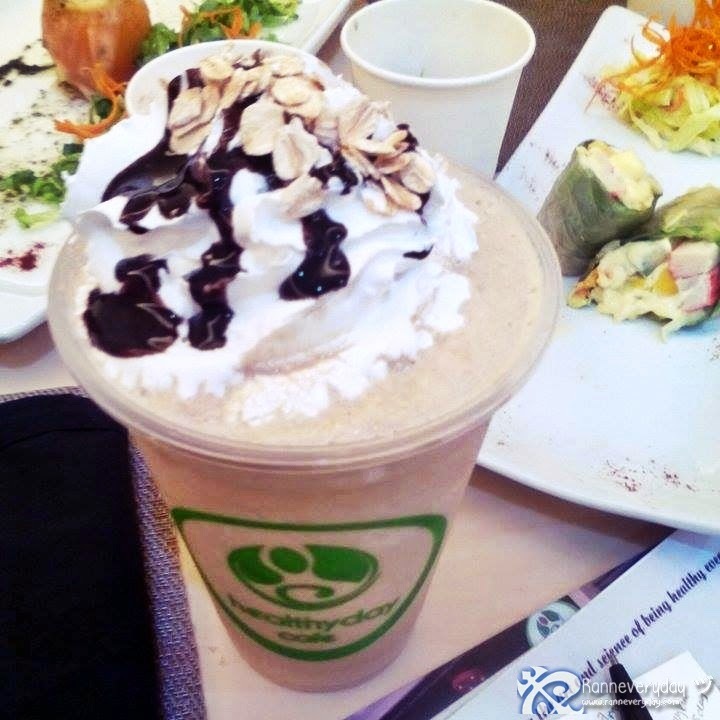 Stress Buster (Php 140.00) - Help yourself to relieve to a stressful day with Healthy Day's Stress Buster. A very light and refreshing drink perfect for a stressful day. It is almost same as the Go-go Juice but this drink has some carrots in it. 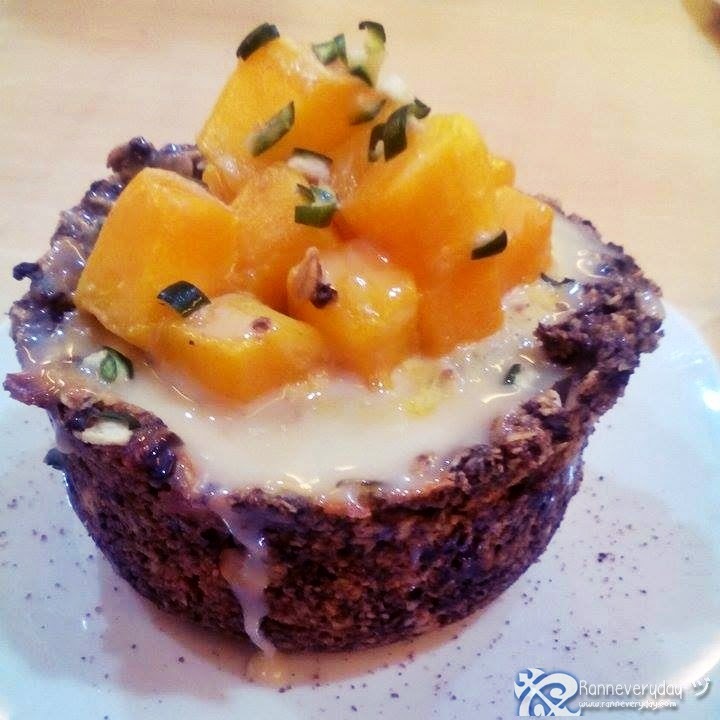 Mango Cucumber Souffle - With a combination of oatmeal and chocolates for its crust, this Mango Cucumber Souffle is not the usual dessert that we know. The mango and cucumber combination for me is good. I only find the crust a bit too hard. 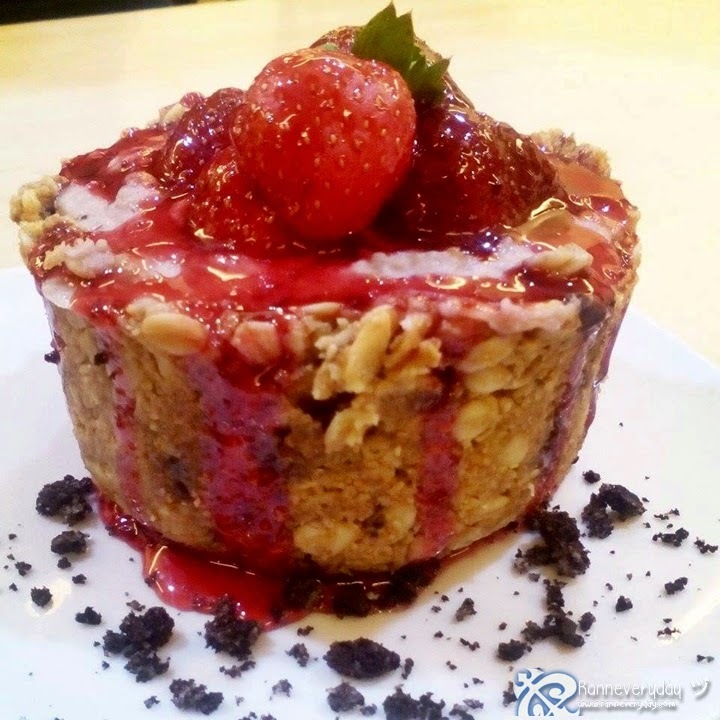 Strawberry Souffle - Don't expect this dish as a regular strawberry cheesecake around. It has an oatmeal crust and the taste is more on the creamy side. I barely taste the cheese side of this dish. 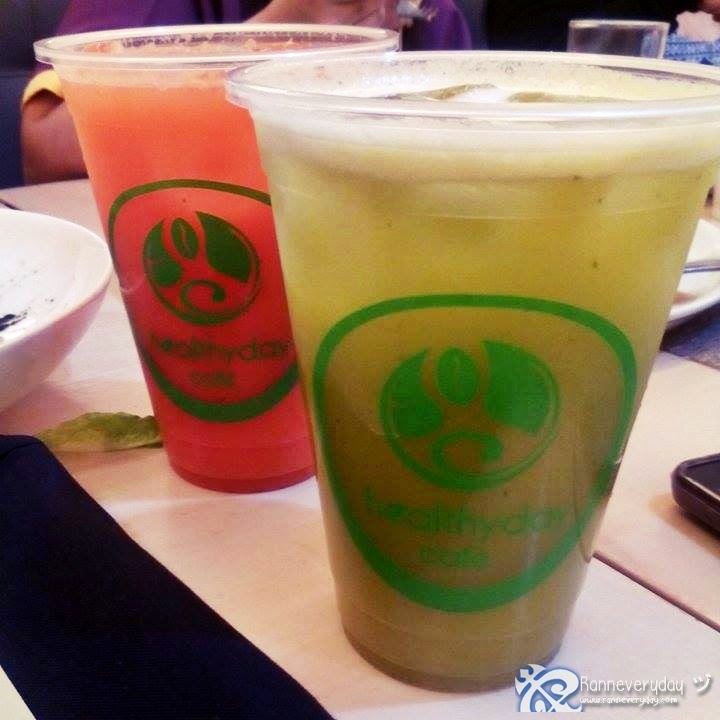 You'll be glad to have the nicest and knowledgeable staffs to assist you here at Healthy Day. They know every dishes they served. For the price, it might be a bit expensive compared to other restaurants around. But for me, it is worth the money since I am assured that every dishes are fresh. Also most of their dishes are good for sharing. 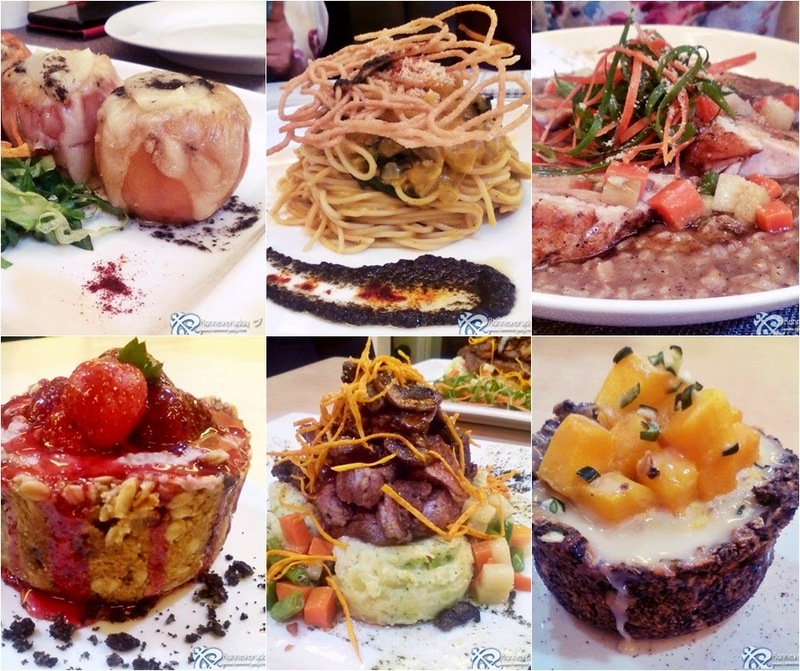 If you happened to be at Banawe, or just looking for a restaurant who serves healthy dishes, Healthy Day Cafe, Spa and Restaurant is a place to try!